Only this week we brought down the wager more than three times – from the usual wager x35 to wager x10! Activate promotional code W10APR in your account. Make a deposit of 10 to 100 Euro. 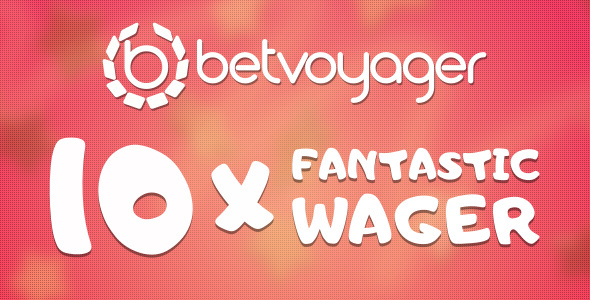 Receive 100% of the amount you deposit as an instant bonus to your account – with the wager x10! The amount of the bonus won in the first stage is up to €100. Hurry up, the offer is valid through April16th-17th only! We’ve Won Awards – Let’s celebrate with some super spins!